Only two years ago Russia was welcomed into various international agreements such as the WTO. Now all the good work has been destroyed by geopolitical turbulence that hampers Russia’s international relations and domestic modernization. Clearly, Russia is in the flux. It is therefore timely to identify any building blocks that determine Russia’s path beneath the turmoil. Firstly, instability is a tradition in Russia. Socialism was an unsuccessful experiment that was followed – not by a market economy in 500 days as was planned – but an economic crash with GDP dropping by 50 per cent in the 1990s. The next crisis was brought by the falling oil price and hit the rouble in 1998. And finally, just as Russia had recovered, the global financial crisis in 2008 turned growth into decline that Russia has not been able to combat till today. The present crisis is both economic and political. Secondly, the Russian economy would struggle even without the contemporary Western sanctions posed on Russia due to Ukraine. This is due the inability to modernize the economy to decrease dependence on the fluctuating oil and gas income. Without modernization and diversification, Russia will not prosper. Thirdly, the frequent crises have made Russia strong. The state is debtless and can use oil income-based reserve funds to mitigate problems. Also the Russian people are persistent. They’ve seen shortage of money and goods, and know how to grow veggies in dachas. Besides, “joint enemies” unite people. Fourthly, Russia needs the West – especially Europe – on its road to economic modernization. It needs European enterprise-driven models of innovation to balance its state-driven approach. It needs ideas to boost new firms and the SME-sector, and to organize research-led innovation. It needs to broaden the concept of innovation from mere scientific thoughts to commercialization. Fifthly, Russia is at the crossroads and must choose either the road of international agreements and joint agendas, or tailor its own lonely Russian path. Two years ago the roadn was international, featuring the WTO and improving positions in international doing business rankings. Now the future is ambivalent. Even Russians do not believe that the government will manage – and is even seriously trying – to clean up corruption. This is stated in several international business meetings, research cooperation and cultural communication. For Russia, China is mentally distant, politically opportunistic and economically ambivalent. The European Russia with its business potential in modernization would be one platform to search growth in Europe. 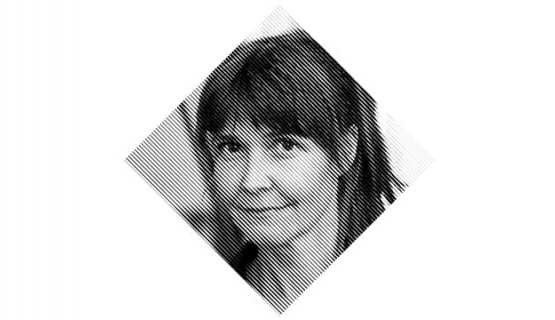 Riitta Kosonen is Professor and Director of Center for Markets in Transition (CEMAT) at the Aalto University School of Business. She is in charge of several multidisciplinary research projects, which provide scientifically rigorous and societally relevant research on emerging markets, especially on Russia and China, and on the competitiveness of the Baltic Sea Region in the global economy.